I just got off the phone with Ken Juneau, who is serving as the PIO for the City of Alexandria and the Sheriff’s Department during Gustav. Right now, we’re anticipating between 5 and 10 inches of rain in most places and 20 inches in some places. Remember, though, this information is based off of models that are already old, so things can and probably will change. 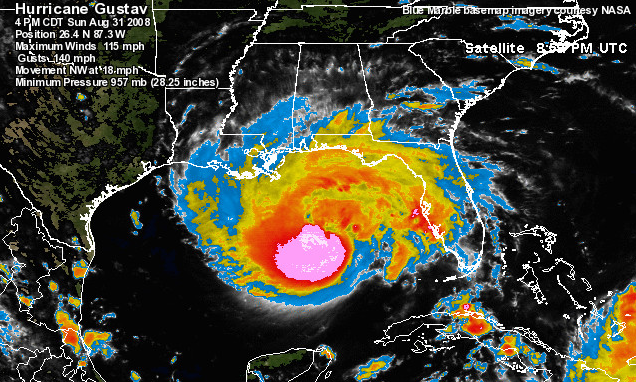 Gustav is moving really fast right now, and it could hit as early as Monday morning. 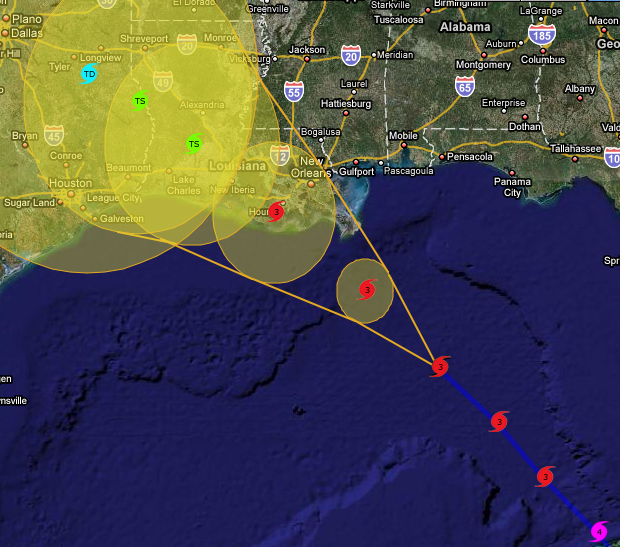 Be prepared for the rain, and be prepared for 8 hours of 75 mph winds and 2-3 hours of 110 mph winds. Alexandria is no longer focused on accommodating evacuees. We’re focused on preparing our own residents. Alexandria City Compound: For the elderly and disabled only; they will bag your sandbags for you. All locations are currently open and will remain open until they run out of sand. At some point, they will set up a single line for you to call in case of emergency.